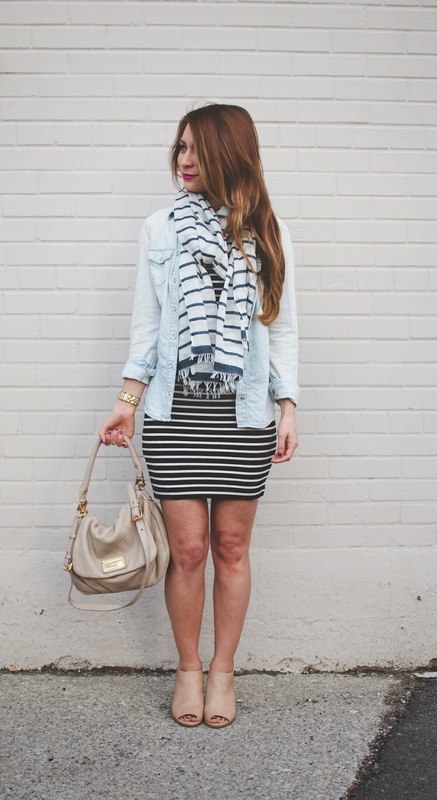 OOTD - Stripes on Stripes | La Petite Noob | A Toronto-Based Fashion and Lifestyle Blog. The trick to wearing two similar patterns together is to have enough of a difference between the two. For example, the stripes on this H&M dress are slim, very close together and in a very dark navy. 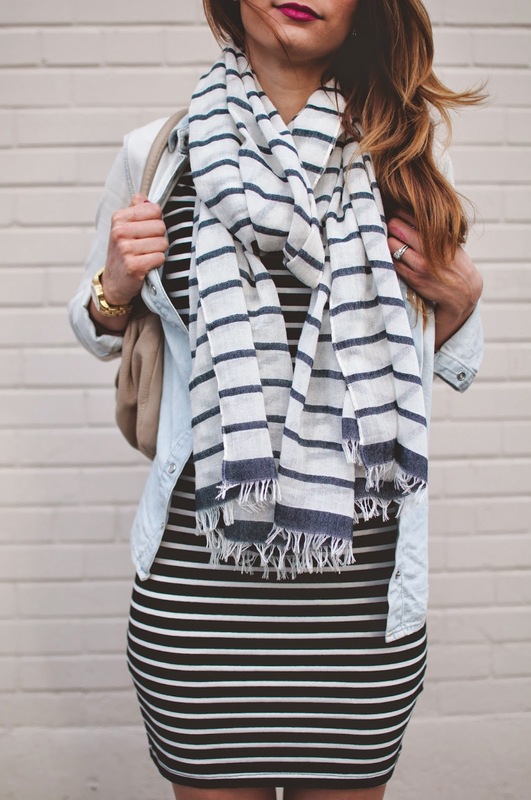 The striped scarf is done in a much lighter blue, with more space between the pattern and in a much lighter material. What do you think about wearing stripes with stripes? Is it something that you will be wearing for Spring? What is the lip color you're wearing? Also, I love stripes on stripes! Thank you! I'm with you - love stripes and can't get enough! Love the stripes on stripes look! Like I tell everyone - "If I can pull it off, anyone can!" Give it a try, and let me know how it goes!